Do you daydream about paddling around rivers and streams from the comforts of a kayak? Maybe you’re a wildlife photographer, a fisherman, a diver, an explorer, or a swimmer who needs a kayak to pursue your passions. If you’re an adventure addict who needs a recreational kayak that can carry gear, we’ve found the best sit on top kayak for you. Sit on top kayaks are often better than other enclosed or traditional kayaks because they’re easier to get in and out of, and generally more durable. Here at The Adventure Junkies, we’ve found the best sit on top kayaks for all types of paddlers. In this guide, we’ll walk you through how to choose a sit on top kayak and show you our favorite models of the year. Avid fishermen will fall head over heels in love with the Old Town Predator Pedal. As one of the top sit on top kayaks in terms of agility, maneuverability and speed, it’s among the best personal fishing vessels you can find. Its specially designed hull allows for exceptional speed while it’s superb balance makes standing up a piece of cake. Moreover, this is a pedal-powered kayak, which gives you plenty of control and maneuverability, while keeping your hands 100% free. The Predator Pedal Drive can be mounted in mere seconds and is storable for easy docking. This remarkably designed kayak is a superb piece of equipment, but note that just because of its stand-out features, it’s quite heavy and expensive. While not cheap, the Perception Pescador Pro 10 might just be the best value for money of all sit on top fishing kayaks. This one-person kayak boasts a multitude of features that put it firmly among the best fishing kayaks on the market today. 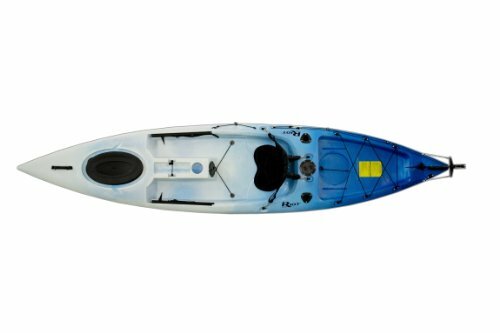 Best used for flatwater kayaking and fishing, this kayak has a removable 2-position seat for ease and comfort while its YakAttack Gear Trac system allows you to attach numerous different paddling and fishing accessories. The kayak’s rigging is customizable, which has proven to be a very popular feature among kayaking/fishing enthusiasts. This is a great kayak for casual fishing, simple yet well-equipped, speedy and stable. The Eddyline C-135 finds itself among the absolute best fishing kayaks. For its relatively low weight, it’s exceptionally stable and fast, while also providing plenty of room to accommodate larger people or lots of equipment. This is a well-designed kayak with lots of different, useful features. The seat, for instance, has 4 different positions, which you can adjust according to what you’re doing—taking a nap on the water, fast paddling or simply relaxing is all possible. Additionally, the seat is also foldable and even removable, which allows you to stand up while fishing. Four hatches and adjustable bungees provides plenty of space for storage and accessories. 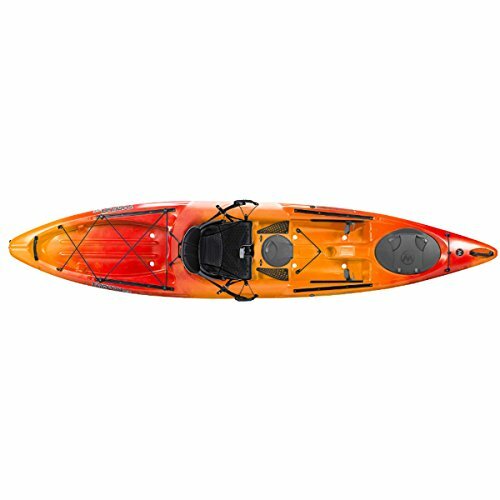 This is a high-quality kayak recommended to kayakers who head out on the water on a regular basis. Its high price, however, may scare away those people who’ll only go kayaking every so often. If you’re looking for a kayak that can handle a variety of tasks, the Wilderness Systems Tarpon 120 is a smart choice. Whether you’re fishing, photographing wildlife or just paddling recreationally, this kayak is for you. The reason that it’s so useful for multiple purposes is its ample storage space, which gives you the chance to bring lots of equipment with you on the water. There are two hatches, a stern tank well and various storage pockets. The kayak’s stability and surprising speed and maneuverability for its size continue to impress avid kayakers. The price tag shouldn’t put you off. Buying a high-quality and durable kayak such as this one will pay off in the long run. 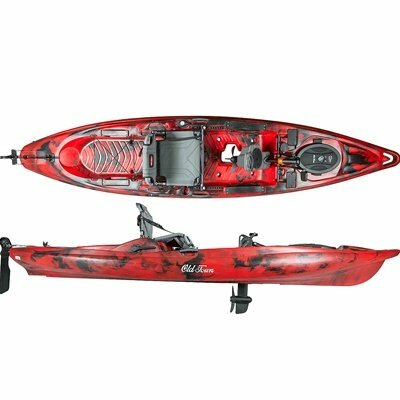 An excellent recreational kayak, the Riot Escape 12 is such a great piece of gear because it can serve as a fishing kayak, a diving kayak or simply as a kayak for casual fun out on the water. Despite its relatively long length, this kayak tracks pretty well. Note, however, that is length does make it less manoeuvrable in narrow rivers and streams, or on rougher water. On flat water like lakes, it’s very stable and fast. It comes with a front hatch with dual-density cover, a drain plug, a bottle and cup holder, rear shock cord storage and a customizable seat. It’s one of the best recreational sit on top kayaks on the market right now, and is definitely worth the money because of its durability and all-round usability. If you have limited storage space but still want a great all-round kayak, the Malibu Mini-X Recreational is worth looking into. Only 9’ 3” long, this kayak is ideal for beginning, young as well as advanced kayakers. 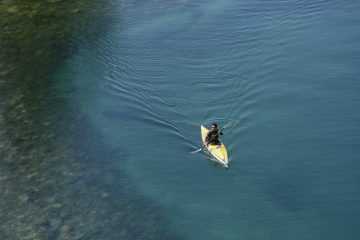 Besides being a bit slower than other sit on top kayaks, its shorter length does not result in any major disadvantages. Quite the opposite, in fact. This is a high-quality lightweight kayak that’s sturdy and stable. Despite its smaller size, it can still fit larger persons. This all makes it a pretty great overall kayak that can be used for a variety of purposes, from fishing and scuba diving to recreational paddling on your local pond. 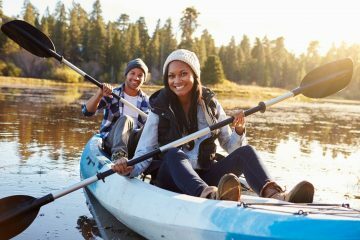 Adventurous couples or small families should definitely consider getting a family kayak. 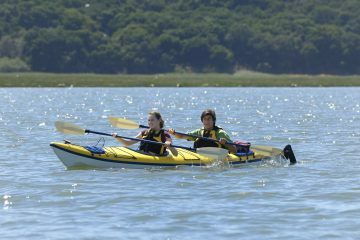 It’s great fun to go for a paddle together in the same kayak, and the Ocean Kayak Malibu Two XL lets you do just that. 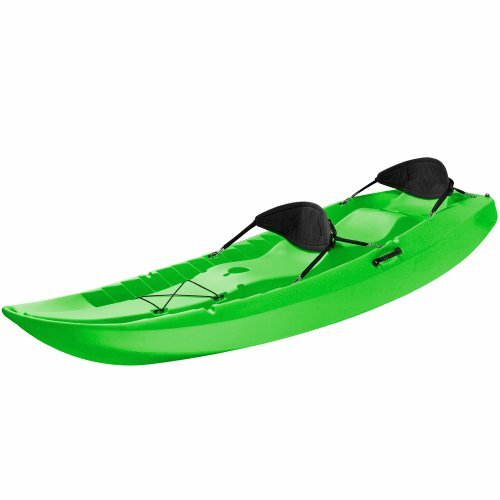 This strong and highly durable sit on top kayak has enough room for (large) two adults and a small child. The kayak also has three different seating positions—allowing for a “family” setup or for solo paddling. With its length of 13’ 4”, it’s one of the longest sit on top kayaks in this overview. Plenty of additional on-deck space allows for easy stowage of and access to a variety of extra gear, from fishing and diving equipment to small coolers. An affordable, lightweight and sturdy 3-person kayak, the Lifetime Tandem is a good option for families on a budget. It can seat up to three people—which may or may not be a bit cramped, depending on those people’s size—and has room left for 500 lbs. of front storage. The kayak’s design makes it super-stable and sturdy and offers good tracking. This is, however, not the fastest kayak on the market, but families who go for casual paddles won’t mind this “downside”. Its low price and all-round ease-of-use makes it a very popular family kayak, worth checking out if you’re a small family looking for a casual sit on top kayak. Beginning kayakers will find the Ocean Kayak Frenzy to be a fantastic sit on top kayak. 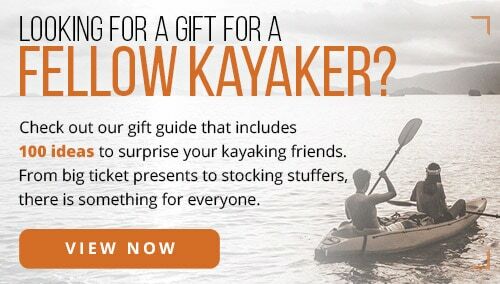 It’s basically made to be the first step toward becoming a serious kayaker. Its small size makes it easy to maneuver and store away, while its excellent design provides comfort and stability. It’s the perfect kayak for practicing and getting the hang of paddling. More advanced kayakers might consider it as a bit limiting because it’s slower, yet it does make for a fun kayak in the surf and it behaves well on flatwater as well. 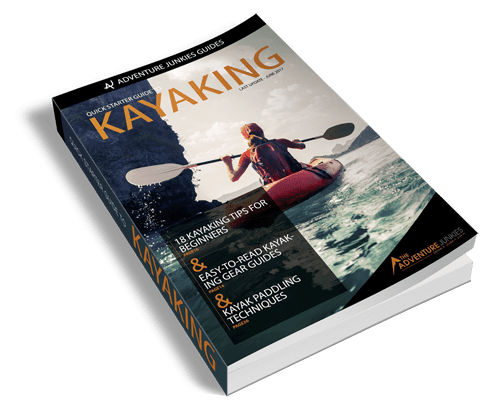 This, naturally, makes it a good kayak for a wide range of paddling enthusiasts, from children to adults, from beginners to more experienced kayakers. The most affordable kayak in this overview of the best sit on top kayaks, the Perception Access 9 is a superb choice for budget-conscious people looking for a sturdy and reliable kayak. This is an entry-level kayak, a boat that’s designed for beginners. It is extremely stable and has great tracking, and its small size results in improved maneuverability. When you buy this kayak, you give yourself the chance to really get comfortable in a kayak, to have unlimited fun on (flat) water and to improve your overall paddling skills. This lightweight, durable kayak has plenty of features to make it a very interesting option for its remarkably low price. The ideal sit on top kayak for beginners. 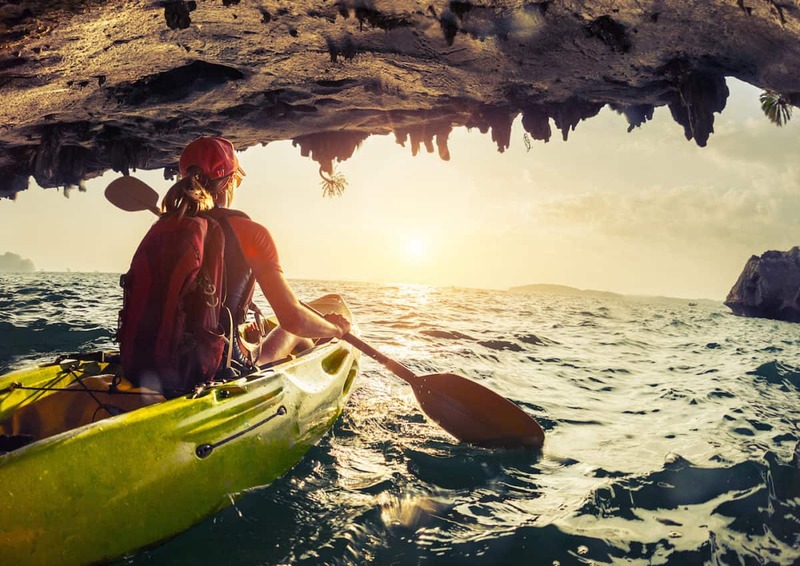 The benefit of a sit on top kayak compared to traditional kayaks, where your legs are enclosed in the hull, is that sit on top kayaks are generally safer. If you fall off or tip over, you can simply swim away from the sit on top kayak and climb back on. Traditional kayaks require self-rescue techniques and are meant for more advanced paddlers. Before buying a sit on top kayak, think about what you’ll mainly use it for. Are you a fisherman? Then you’ll want a sit on top kayak that is capable of carrying gear, has fishing pole holders, and is comfortable to sit in for long periods of time. Check out our guide on the best fishing kayaks. If you want to paddle with a partner or bring your pet and kids along for the ride, a sturdy, two to three seat kayak is the best option. This way, you can spend one on one time while exploring with your family. If the thought of paddling with your pooch makes your heart sing, you’ll have to read our guide on how to kayak with a dog. Or maybe you want to go on a full-blown expedition, packing all of your supplies and food with you. A sit on top kayak is a great choice for this as well, thanks to its durability and size. In an article by Tim Holtey, you can learn all about packing your kayak for a camping trip. Divers, swimmers, and spearfishermen will do well with a sturdy and durable overall kayak. Scuba divers, like fishermen, will want a kayak with ample storage space. Even if you get a sit on top kayak that’s specifically for one purpose, you can easily use it for many more as they’re all pretty versatile. As a general rule, longer and narrower kayaks tend to be great for speed while shorter and wider kayaks tend to be better for stability. Kayakers wanting to speed over flat water should choose a longer kayak while those paddling in the surf should opt for the shorter kayak. Most paddlers learn to stabilize quickly, so it’s not too important to choose a very wide and stable kayak unless you’re carrying children or a lot of gear. 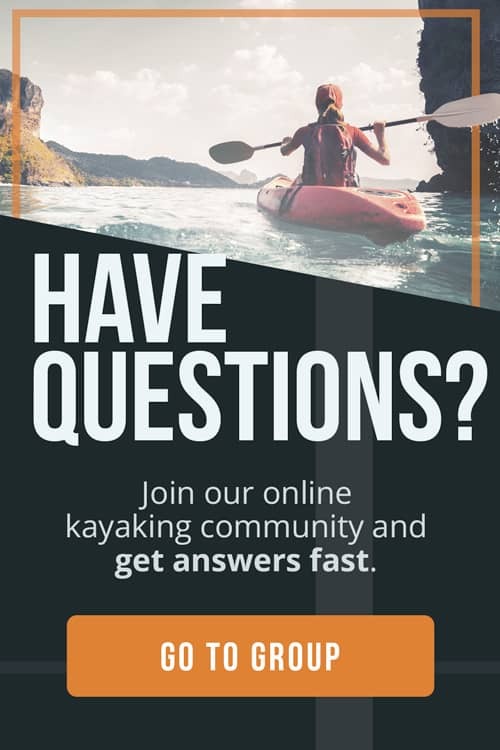 Choose a kayak that is a little bit beyond your ability level, even if you’re a beginner, so that you can grow into it. REI has a great resource on paddling techniques that will help you progress quickly. If the kayak is too heavy, you might have trouble transporting it alone — keeping you out of the water. Kayaks around the 40-pound range tend to be shorter and easier to maneuver, so go for a smaller one if you’re planning solo expeditions. If you do get something heavy, save your back by investing in a kayak trolley. Fortunately, we’ve written an entire guide that shows you all the ways you can transport your kayak. Some kayaks accommodate multiple people. This is a great option for families, couples, and those wanting to take their pets and children for a paddle. Many two-person kayaks can be adjusted to just suit one paddler. You can also find solo kayaks that have a small space for a child or dog that work well for when you want to paddle with a pal, too. Don’t choose a multi-person kayak if you won’t be kayaking with multiple people most of the time. In many cases, having two solo kayaks is better than having one two-person kayak. Then, you can carry more gear on two solo kayaks than on one tandem kayak, and won’t be paddling a clunky, slow, kayak during the times you’re solo paddling a tandem kayak. You can have the best, most expensive, and fastest kayak on the market, but if it’s not comfortable, you won’t be using it. Check that the kayak has a supportive seat and plenty of foot space. Many kayaks now even have options to in other positions than just sticking your legs straight forward. It’s even worth investing in extra seat padding if you know you’ll be kayaking often. Small kayaks are great for transport and agility, but might be too cramped for taller or larger paddlers. Likewise, shorter paddlers might be scooting around a kayak that’s too big. Don’t make the mistake of choosing something based on price or size if you’ll want to turn back after fifteen minutes of paddling because of discomfort. The only pain you should feel is the burning in your arms and abs from a killer workout.